This article is taken from a talk I gave at the 29th Annual Meeting of the Doctors for Disaster Preparedness in Albuquerque last week, on the controversial subject of saturated fats. Some of the slides that I used for this talk are put in here. The medical establishment and government health authorities say that consumption of saturated animal fats is bad for us and causes heart disease. According to the lipid hypothesis — the label used for the diet-cholesterol theory of heart disease — saturated fats raise serum cholesterol levels, and high blood cholesterol causes obstructive plaques to form in arteries, called atherosclerosis. This pathologic process causes coronary heart disease and the need for coronary artery bypass surgery, which is what I do. A hundred years ago less than one in one hundred Americans were obese and coronary heart disease was unknown. Pneumonia, diarrhea and enteritis, and tuberculosis were the most common causes of death. Now, a century later, the two most common causes of death are coronary heart disease and cancer, which account for 75 percent of all deaths in this country. There were 500 cardiologists practicing in the U.S. in 1950. There are 30,000 of them now — a 60-fold increase for a population that has only doubled since 1950. In 1911, Procter and Gamble started marketing Crisco as a new kind of food. The name Crisco is derived from CRYStalized Cottonseed Oil. It was the first commercially marketed trans fat. Crisco was used to make candles and soap, but with electrification causing a decline in candle sales, Procter and Gamble decided to promote this new type of fat as an all-vegetable-derived shortening, which the company marketed as a "healthier alternative to cooking with animal fats." At the time Americans cooked and baked food with lard (pork fat), tallow (beef and lamb fat), and butter. Procter and Gamble published a free cookbook with 615 recipes, from pound cake to lobster bisque, all of which required Crisco. The company succeeded in demonizing lard, and during the 20th century Crisco and other trans fat vegetable oils gradually replaced saturated animal fats and tropical oils in the American diet. In 1913 a Russian physiologist fed high doses of cholesterol to rabbits and showed that cholesterol caused atherosclerotic changes in the rabbit's arterial intima like that seen with human atherosclerosis. Over the ensuing decades other investigators did atherosclerosis research on cholesterol-fed rabbits, which they cited in support of the diet-cholesterol theory of heart disease. He followed this up with a more detailed Seven Country Study published in 1970, using three of the countries that were in the original six-country study — Italy, Japan, and the U.S. — and four other countries — Finland, Greece, The Netherlands, and Yugoslavia. This study further cemented the association of fat consumption and death from heart disease, which led to the McGovern Report. Next, in 1984 the Center for Science in the Public Interest, a consumer advocacy group, joined the fray and started to coerce fast-food restaurants and the food industry to stop baking and frying food with animal fats and tropical oils. McDonalds fried its French fries with beef fat and palm oil. That’s why they tasted so good. But the Center for Science in the Public Interest's well-orchestrated saturated fat attack coerced McDonalds and other fast-food chains to switch to partially hydrogenated, trans-fat vegetable oil. Beginning in 1980, the U.S. Department of Agriculture and Department of Health and Human Services has published every five years an updated Dietary Guidelines for Americans. The most recent one, published in December 2010, recommends reducing saturated fat intake to 7 percent of caloric intake, down from its previously recommended 10 percent. The USDA dietary guidelines and the American Heart Association group trans fats and saturated fats together and demonize them both as solid fats. The heart association's website has a "Meet the Fats" link where the bad fats brothers are Sat and Trans — saturated fats and trans fats. The better fats sisters are Poly and Mon — polyunsaturated and monounsaturated fats. Oscar Wilde said "Life imitates art." He noted that "Life imitates art far more than art imitates life." 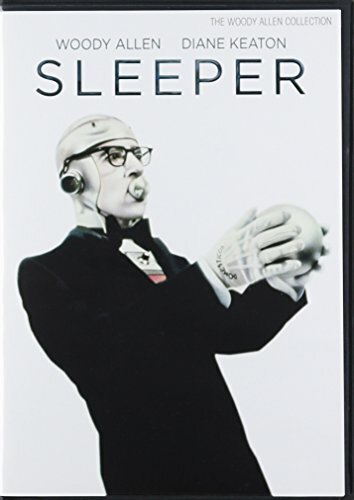 In his film Sleeper Woody Allen plays Miles Monroe, part owner of the Happy Carrot Health Food Restaurant in Greenwich Village. He was cryogenically frozen in 1973 after a botched peptic ulcer operation done at the now closed St. Vincent’s Hospital. Two hundred years later scientists wake him up and revive him. Tiger's milk is said to be America's original carbohydrate-rich, protein-rich nutrition bar. It was popular in the 1970s and is still sold. 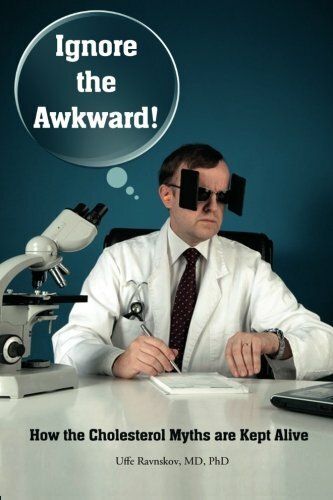 I got this one from Amazon.com (that I show at the meeting). As this cinematic work of art predicts, in 2173 deep fat, steak, cream pies, and hot fudge will have replaced wheat germ, organic honey, and tiger's milk as health foods. The Rendille tribe in the Kaisut Desert in NE Kenya subsist on camel milk and meat, and a mixture of camel milk and blood, known as “Banjo.” Their diet is 63 percent saturated fat. Like these groups of people around the world, breast-fed infants in developed first-world countries also have a diet that is high in saturated fats. The fat in human mother's milk is 54 percent saturated fat. The study referenced here, published in the American Journal of Clinical Nutrition, is considered to be the most comprehensive analysis done on the Paleolithic hunter-gather diet. Anthropologists have assessed the diets of 229 hunter-gather populations that survived into the 20th century and can be viewed as surrogates for our Paleolithic, Stone Age ancestors. When they can get it, these modern-day hunter-gatherers consume high amounts of animal food, which can make up to 85-100 percent of their calories, like the Maasi, Inuit, and Rendille peoples. They eat virtually all of the fat on the animal, including its organs, tongue, bone marrow, and brain. Other carnivores do the same thing. Lions, for example, will eat the organs and fat of their kill and leave the lean muscle meat for scavengers. Since hunter-gatherers do not engage in agriculture, they have no corn, rice, or wheat to eat. They obtain only a low amount of carbohydrates from wild plants, gathering seeds, nuts, roots, tubers, bulbs, and fruits from them. The Paleolithic Era, or Stone Age, lasted two-and-a-half million years, beginning with our human ancestor Homo hablis, and progressing through a succession of species to ours, Homo sapiens, which has existed for some 200,000 years. The Agriculture Age began approximately 10,000 years ago and during this time, through 500 generations, carbohydrate consumption gradually increased. Even so, at the beginning of the Industrial Revolution 250 years ago, sugar consumption was one-fifth of what it is today. Now we are eating a greatly increased amount of carbs in cereal grains, dairy products, beverages, refined sugar, and candy, along with processed vegetable oils and dressings that did not exist in our diet for 99.9 percent of human history. 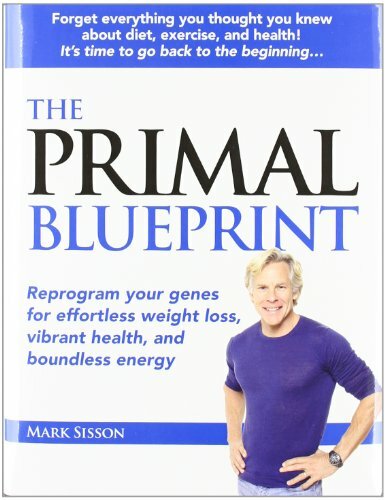 During this time the human genome became adapted to follow a high-fat, low-carbohydrate diet. Nevertheless, health authorities today say that we should do the opposite and follow a low-fat, high-carbohydrate diet. As calories, fat and carbs are interchangeable, protein less so. One can eat and digest only so much protein. When the protein content of the diet exceeds 35 percent of calories, nausea, diarrhea, and weakness ensue. These symptoms disappear when protein is dropped to 20-25 percent of calories. The new social media of Facebook, Twitter, and YouTube is not only helping to overthrow dictators and autocratic regimes but also wrong medical dogmas. This one, titled Big Fat Lies (shown at the meeting), exposes the chicanery Ancel Keys practiced in his work (available HERE). What about our government and the McGovern Report? The YouTube video titled "The McGovern Report" (shown at the meeting) deals with it in a pithy way (available HERE). Mary Enig, Ph.D., a researcher at the University of Maryland, is interviewed in the video. In 1978, she was the lone whistleblower warning people about the dangers of trans fats. The medical establishment, government, and the food and drug industry belittled and ignored her findings that trans fats interfere with critical enzyme systems in the body and suppressed these findings for 25 years. As evidence of their dangers continued to grow the FDA, finally, in 2003, announced that beginning in 2006 the food industry must display how much trans fat the product contains on its nutrition facts label. Having ignored the subject since its inception in 1980, the government's 2005 Dietary Guidelines for American at last warned them to restrict their consumption of trans fats. In 2006 New York became the first city in the nation to ban trans fats in restaurant food. There is good reason why 54 percent of the fat in mother's milk is saturated fat. Cell membranes need saturated fatty acids to function properly and be "waterproof." The heart prefers saturated long-chain 16-carbon palmitic and 18-C stearic acid (over carbohydrates) for energy. Bones need them to assimilate calcium effectively. They protect the liver from the adverse effects of alcohol and medications like Tylenol. Lung surfactant is composed entirely of saturated 16-C palmitic acid, and when present in sufficient amounts prevents asthma and other breathing disorders. Saturated fats function as signaling messengers for hormone production. This trial, published in the journal Lipids, enrolled 40 women with a waist circumference > 35 inches. 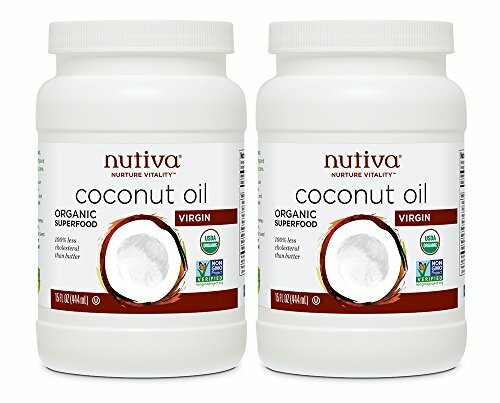 Twenty were randomized to take 30 ml — two tablespoons — of coconut oil a day (Group C) over a 12-week period. The other 20 took 30 ml soybean oil/day (Group S). Cholesterol also is the body's fire brigade. It repairs damage to the body's tissues, particularly the damage in arteries inflammation does to cause atherosclerosis. Blaming cholesterol for atherosclerosis is like blaming firemen for the fire they have come to put out. The brain and nerve tissue contain the highest concentration of cholesterol in the body. It is a key component in forming synapses — cell connections — needed for good mental functioning, learning, and memory. The rise in obesity parallels closely the rise in carbohydrate intake. 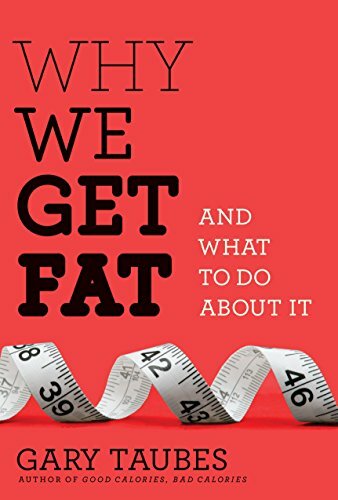 As Gary Taubes shows in his book Why We Get Fat: and what to do about it, carbohydrates, not overeating or a sedentary life, are what make you fat. Eating fat and protein don't make us fat, only carbohydrates do. This graph, in Mark Sisson's book The Primal Blueprint, compares carbohydrate intake with weight. 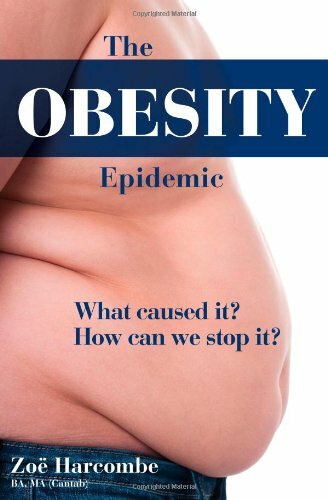 Diabetes and obesity go together, so much so that these disorders are now being called "diabesity". Body mass index (BMI) is the commonly used measure for obesity, calculated by dividing one's weight in kilograms (Kg) by one's height in meters squared (Kg/m2). One is considered to be obese if the BMI ≥30, and morbidly obese with a BMI of ≥35. 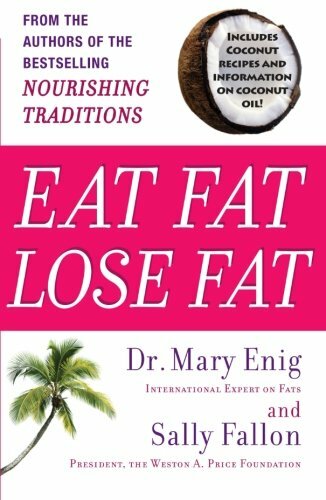 These books prove beyond a reasonable doubt that today's chronic diseases, such as diabetes, heart disease, and cancer are nutritional diseases, a result of eating a low-fat (mainly polyunsaturated vegetable oil), high-carbohydrate diet. 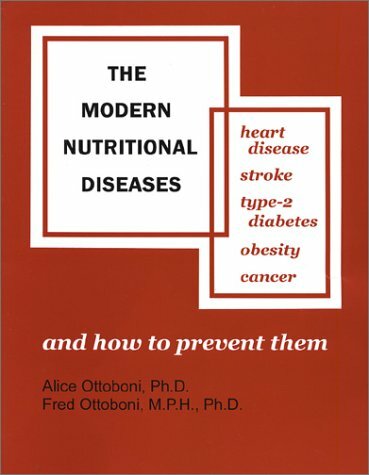 Alice and Fred Ottoboni wrote Modern Nutritional Diseases: heart disease, stroke, type-2 diabetes, obesity, cancer, and how to prevent them; Barry Groves, Trick and Treat: how healthy eating is making us ill; and Zoë Harcombe, The Obesity Epidemic: What caused it? 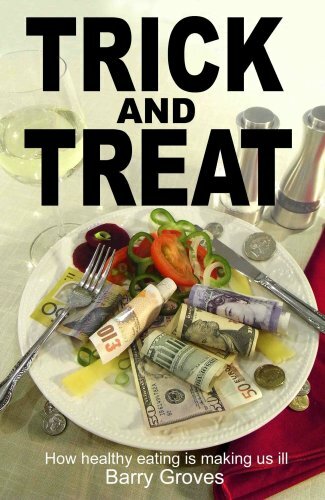 How can we stop it?, Barry Groves, in particular, citing more than 1,000 references, documents how so-called "healthy" eating is making us ill. One-third of our dietary sugar comes from sodas, and they have become America's number one source of calories. Disasters that may confront us can be divided into ones that are natural and those that are human made. The natural ones range from an earthquake to an impact event, like the one 65 million years ago where an asteroid six miles in diameter collided with the earth and wiped out the dinosaurs, and all other life forms larger than a small chicken. Human-made disasters include political, economic, and martial types, a number of which Doctors for Disaster Preparedness has addressed. To this list must be added the nutritional disaster of a low-fat, high-carbohydrate diet. These trucks laden with soda pop serve as its weapons of mass destruction. Pastured poultry produce eggs much richer in nutrients such as vitamins A and D and omega-3 fatty acids. Like with the turkeys so confined, organic eggs are produced mainly in barns. One wants to eat pastured eggs like those sold at a farmer's market. The color of the yolk is an indication of the presence of nutrients. The pastured egg, with its dark orange color, is full of nutrients. The organic store egg less so. The supermarket egg, pale as it is, would be even whiter if the chickens weren't fed orange foods and dyes. For further reading on this subject, I recommend two articles, which are available online. One is the article that prompted me to question the lipid hypothesis. The second one is my now more enlightened view on this subject. I did a podcast on the health benefits of a low-carbohydrate, high-saturated-fat diet on the Livin La Vida Low Carb Show. The show's host, Jimmy Moore, has titled it, "Cardiac Surgeon Dr. Donald Miller Tells Dr. Dean Ornish to Take a Hike." A link to it is HERE (and on my website). 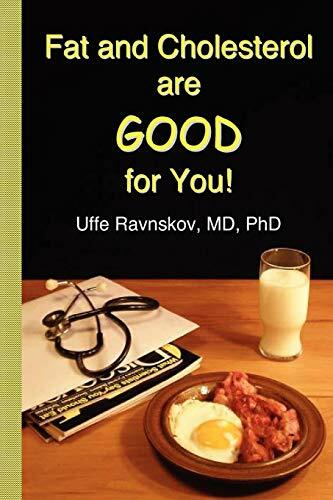 For those of you who would like to delve further into this subject, I highly recommend these two books written by a cardiologist, Dr. Ravnskov, Fat and Cholesterol are GOOD for You, published in 2009, and Ignore the Awkward! How the Cholesterol Myths are Kept Alive, published last year. These two books are a must read for anyone taking statins to lower their cholesterol. Supporters of the orthodox view that saturated fats and cholesterol cause heart disease who dismiss these books, unread, bring to mind George Orwell's definition of orthodoxy: "Orthodoxy means not thinking, not needing to think." And Frank Zappa put it well when he said, "The mind is like a parachute, it works only when it is open." One needs to approach this subject with an open mind. The last word on this subject should go to Julia Child. It is on YouTube (shown at the meeting) under the title, 1995 Clip: Julia Child on McDonald’s French Fries (available HERE). Enjoy eating saturated fats, they're good for you!